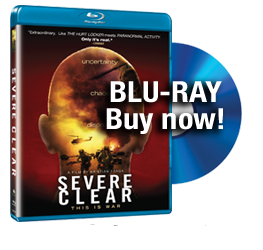 Superbly edited in a linear fashion and a vibrant (but yet-to-be-completed) score, “Severe Clear” manages to become a fluid cinematic experience, despite its reliance on Scotti’s unsteady camera work. Although he’s certainly not a candidate for the American Society of Cinematographers, Scotti displays a fierce committment to his photographic lens. When he’s not running for cover, he puts a blatant effort into composing lucid shots, and occasionally hits on strikingly lyrical images. In one memorable scene, he and his colleagues watch bombs light up the night sky as they fall on Baghdad for the first time since the Gulf War. 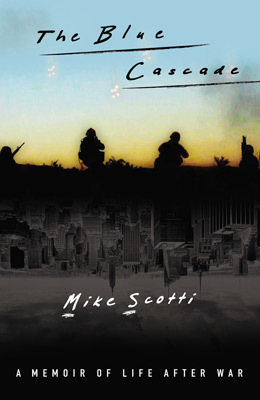 Scotti says the moment gives him a sense of vengeance, but openly admits to the simplicity of the thought. Watching “Severe Clear,” it’s obvious what Brian De Palma failed to understand with his fake Iraq documentary, “Redacted”: That many young soldiers are guided less by ideology than emotional conviction.